Sea Chaser 23' Catamaran Center Console with Twin Honda 130 hp Four Strokes . Excellent offshore fishing boat that can handle the rough stuff. Includes Aluminum Tandem axle Cat trailer. 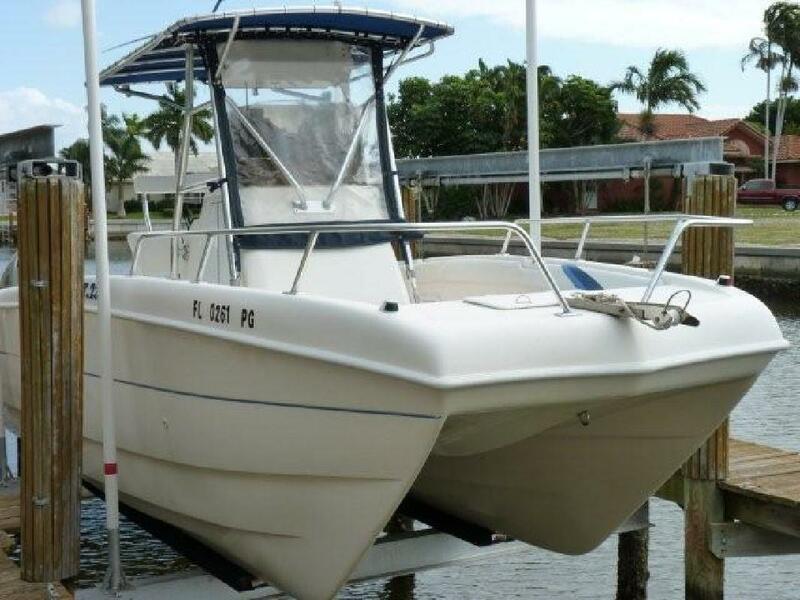 Includes T-Top, VHF Radio, Fishfinder, GPS, Front Spray curtain, Enclosed head with Porta-potti, in deck fishboxes, livewell.. Boat kept out of the water, no bottom paint. All Sea Chasers are constructed with 100 % fiberglass- composte with no wood to rot. Hand laid fiberglass stringer system with closed cell foame injected. The deck joints are bonded together forming a very solid and rigid hull. She is ready to fish or cruise.